IBSAT Application Form 2019: ICFAI Business School Aptitude Test (IBSAT-2019) is an entrance exam conducted by ICFAI Foundation to provide admission to various management courses like MBA/ PGPM or PhD programme.Through the IBSAT score card or CAT/ GMAT/ NMAT score card you will get admission in any of the 8 IBS institutes. The university official has released the IBSAT Registration Form date on its official site. Interested Candidates can apply for this. 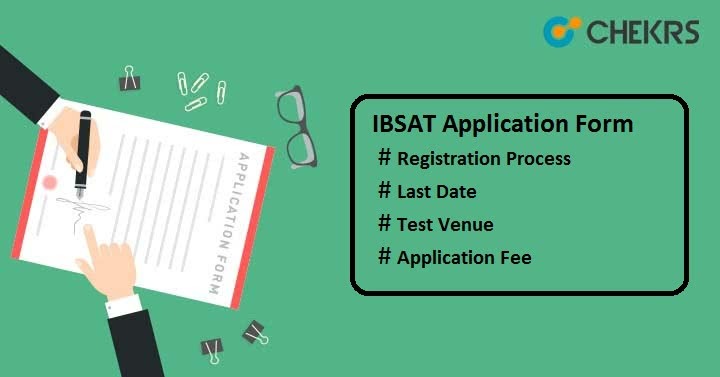 Here we have shared the complete information related to the IBSAT Application Form, last date, and exam date also. It is mandatory to satisfy all IBSAT Eligibility Criteria to get admission in any of the IBS across India. Candidates should have completed their graduation from any recognized university of institute. To get admission through IBSAT, one must obtain minimum of 50% marks in the graduation level. Candidates appearing for the final year examination can also apply the application form, but they have to show the result before the May 31, 2019. Applicants those not from English Medium will have to submit TOEFL/NELT/IELTS score card by the end of May 2019. Candidates can follow the given below steps to fill the application form. Click on the link click “here” to go to IBS Registration Form. Fill the all required field with correct information and submit it by clicking on “Proceed” button. Once registration is done, you will get application no & password on your mail id. Offline mode user will have to change the given password and then proceed to the next step. Using the login credentials, go to the payment page. Pay the IBS Examination Fee through credit/ debit card or net banking. Upload the recent colored passport-sized photograph as per specified format. Select the selection venue or date as per your choice and the way you want your admission IBSAT score or CAT/GMAT etc. At last submit the form and take the printout of the filled-in IBSAT application form. #Note: Candidates can get the IBSAT application form from any IBS Marketing Branches by paying the application fee along with that you will get a scratch card containing the application no and password. In case you have any query. Leave your message in the below comment box. We will reply you soon. Till then keep visiting this site to get latest update. Best wishes!! !